Yemen rebels claimed to have shot down the combat aircraft. 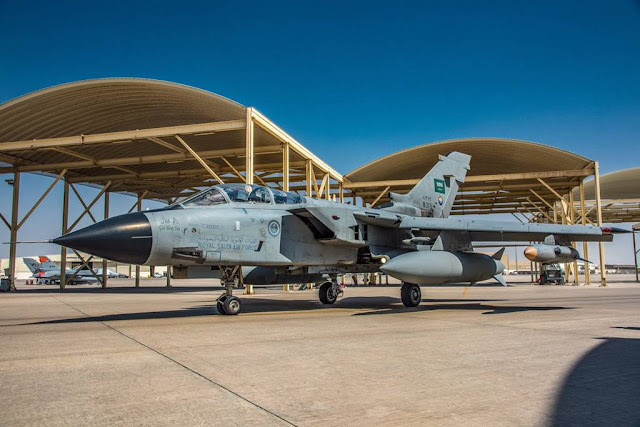 January 7, 2017 - A Royal Saudi Air Force (RSAF) Tornado crashed in Sa'dah, Yemen, near the Saudi southern borders, both pilots safely ejected and rescued. The Houthi armed rebels claimed through their TV channel to have shot down the combat aircraft, but Saudi state news agency SPA reported the fighter jet had suffered a technical failure while conducting military operations. RSAF 99th CSAR Squadron carried out a successful rescue mission into the Houthi stronghold of Sa'dah to recover the Tornado pilots. They flew over a war zone when the plane crashed. In September 2017 another RSAF combat aircraft crashed in Yemen. An undisclosed aircraft type came down in the region of Abyan in southern Yemen due to an unspecified “technical malfunction”.